Street Fighter mini figures are arriving soon. Previously, they were available for $13.99 per figure, and will soon revert to the full retail price of $19.99. 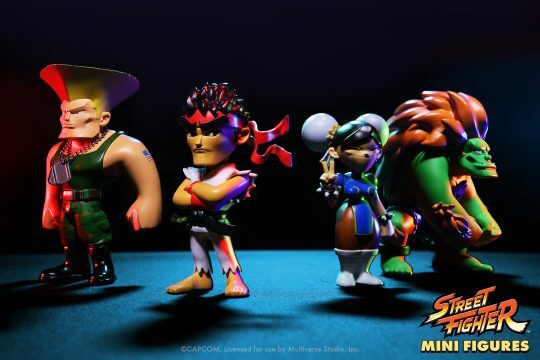 Measuring 4 to 5-inches tall, depending on the character, Street Fighter® Mini Figure Collection characters are made from solid PVC and packaged in a unique nostalgia inducing window box shaped like a Street Fighter® arcade cabinet. You can pre-order these figures and buy many other things over at their website over here.